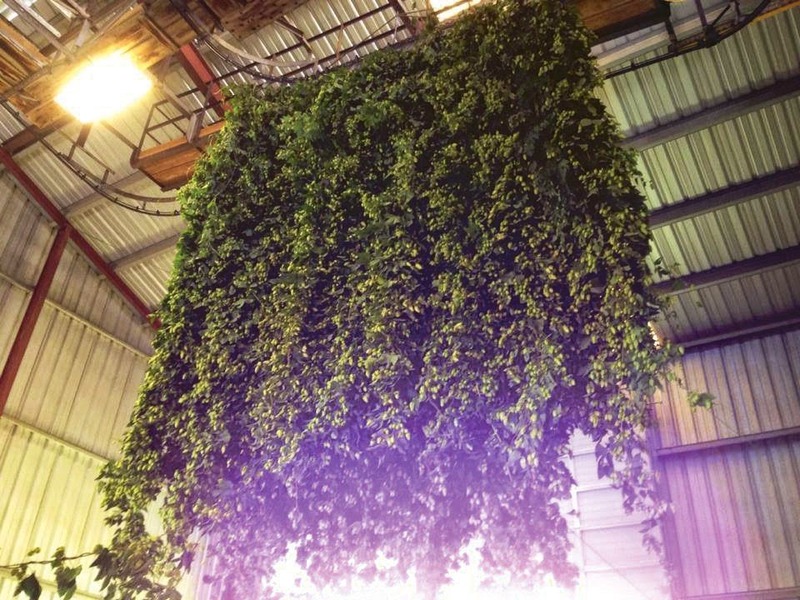 Crux Fermentation Project is releasing three (3) fresh hop beers. These will have a limited release due to the volatility and short shelf life inherent in fresh hop beers. Crystal Zwickle will be available in bottles. However,being part of the experimental Brewdeck series only 100 cases will be produced. Whereas, Cruxtennial and Off the Fence will only be available on draft. (Bend, OR.) As many craft beer aficionados know, Crux brewmaster and co-founder Larry Sidor has been brewing for decades. But many do not know that Larry also worked for many years in the hop industry. Larry brings his deep knowledge of and passion for hops to the forefront with three new fresh hop beers. Brewed immediately after harvest, when the whole hop flowers are still swelling with lupulin oils, these beers are pungent with bright aromas and flavors. When they’re gone, they’re gone—we only brewed 98 hectolitres (or about 83 barrels) all together. All three beers are currently on tap at the brewery in Bend and also headed for select fresh hop festivals. 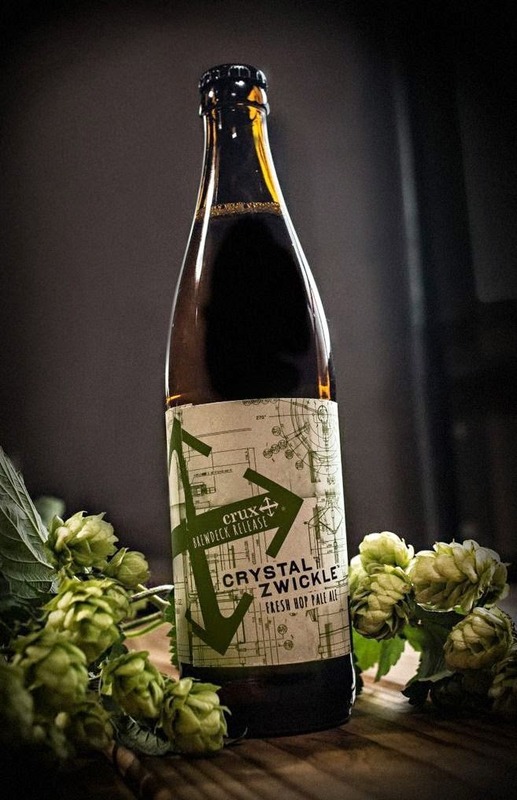 Crystal Zwickle will be distributed in bottles across Oregon and Washington with limited availability. Crystal Zwickle - Belgian Pale Ale 6% 30 IBU: Brewed with fresh Crystal and European Noble hops from Goschie Farms in Silverton, Oregon. This beer is named partly for the Crystal hops and Crystal malts, and partly for the unfiltered style. Cruxtennial, 6% 30 IBU - Belgian Pale Ale: Brewed with fresh Centennial hops from Crosby Hop Farm in Woodburn, Oregon. This is our first fresh-hop beer of the season. Off the Fence, 6% 30 IBU - NW Pale Ale: Brewed with fresh Cascade hops grown on the Crux Fermentation Project property in Bend, Oregon. This beer is the fresh-hop take on a house favorite, On the Fence.